7. 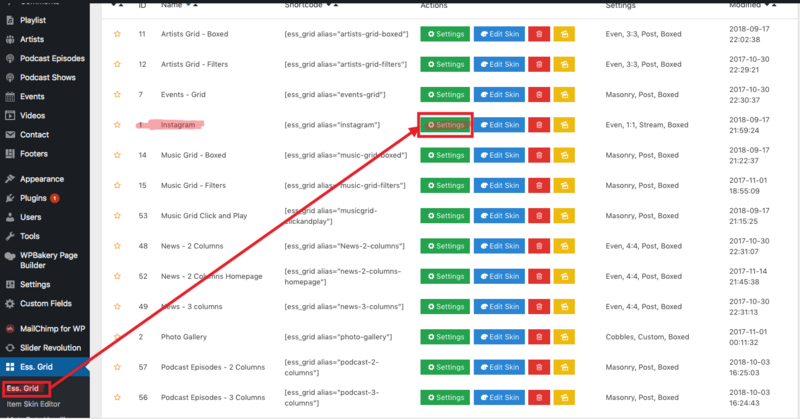 There are codes showing up on my page ? My site is broken! What's wrong ? 8. How do I update my theme ? 9. I can't activate a plugin. Where is the license key ? Is it included with your theme ? 11. My site reverted back to default ! I lost all my customization. 12. How to get my Twitter API Keys ? 14. How to make parallax effect with Visual Composer? 15. 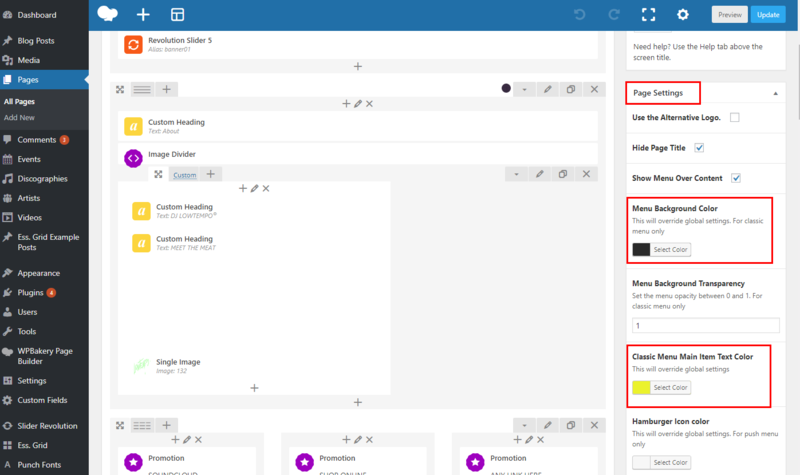 What is Visual Composer and how to use it ? 16. Facebook display an unwanted preview of my image and text. 18. How to embed a SoundCloud Player into my pages ? 20. How to change the Slug or page URL of my page? 21. When installing the theme it says "Are you sure you want to do this ?" 22. 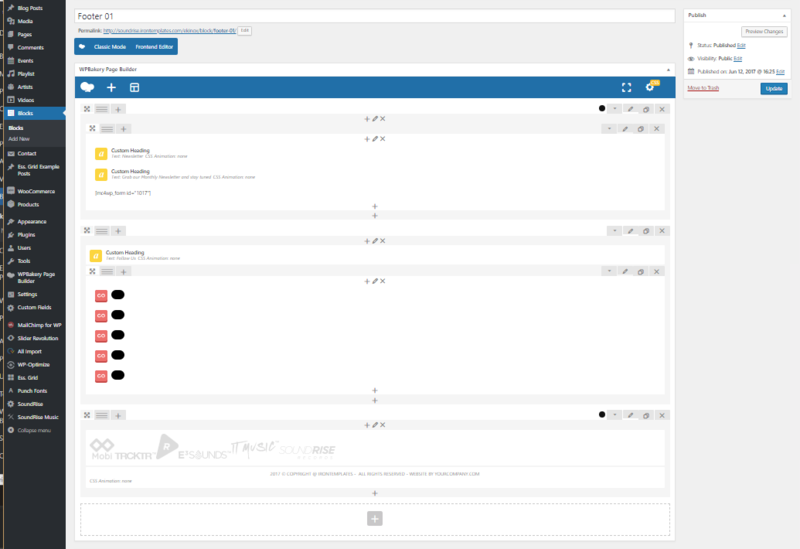 How the back-end of your themes look like ? 23. How I change hard-coded texts? 25. How do I update the plugins ? 26. 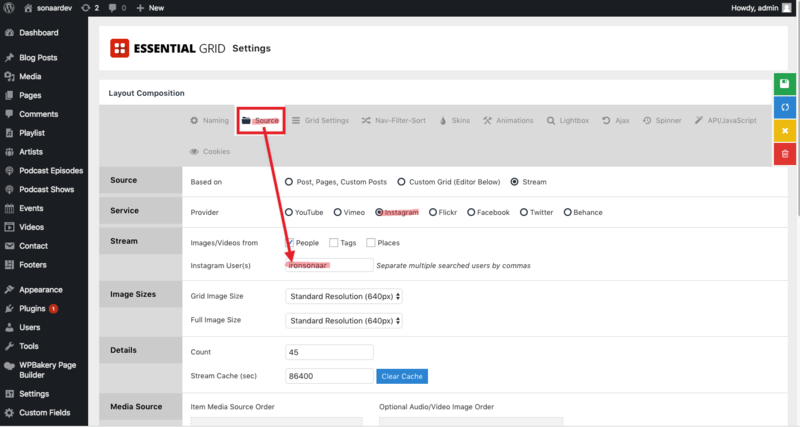 I can't see the Slider Revolution when I move from one page to another. 27. How to setup the Event Section ? 28. How to translate the theme in your own language ? 33. 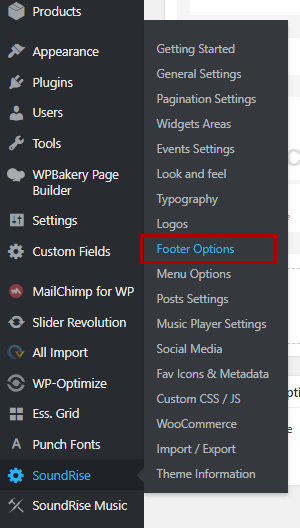 How can I edit the footer area? Here's a sneak peak of how the admin dashboard within WordPress looks like for Soundrise and Croma. Nice scroll is a deprecated features and we don't use it anymore. 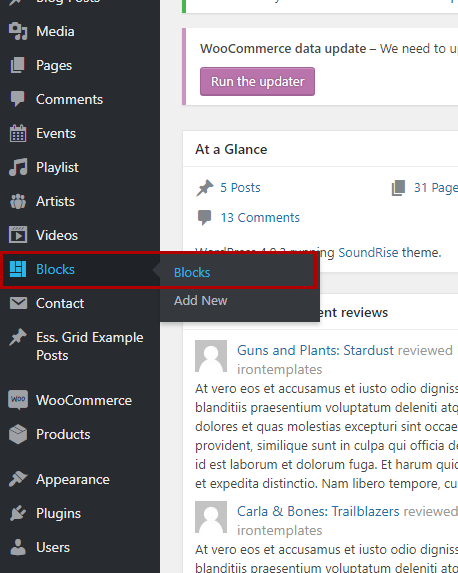 Soundrise use a custom post called "Block" to built the footer. and edit the block post used. All WPBakery page builder tools are available to built the footer as we want.